Apple’s iPhone 8 and iPhone 8 Plus have hit store shelves worldwide and while many are going to be holding out for the iPhone X, plenty more are probably going to be jump on the more-reasonably priced options. And regardless of whether you opt for the more compact 8 or portrait-mode-ready 8 Plus, you’ll still want to keep it looking sharp. You’ll want the right case - and there’s no shortage of options out there competing for your attention and your wallet. 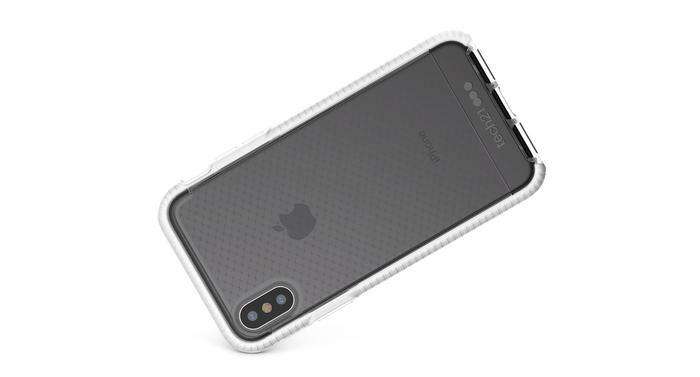 To help make the decision easier, we’ve gone hands on with over a dozen different major case brands to see the best they have to offer when it comes to cases for the new iPhone 8, 8 Plus and futuristic iPhone X.
Otterbox’s Commuter Series of cases use a dual-layered design to cover your new iPhone with on-the-go protection through both a shock-absorbing slipcover and more-durable outer shell. It promises to protect against both everyday bumps, as well lint and grime build-up. 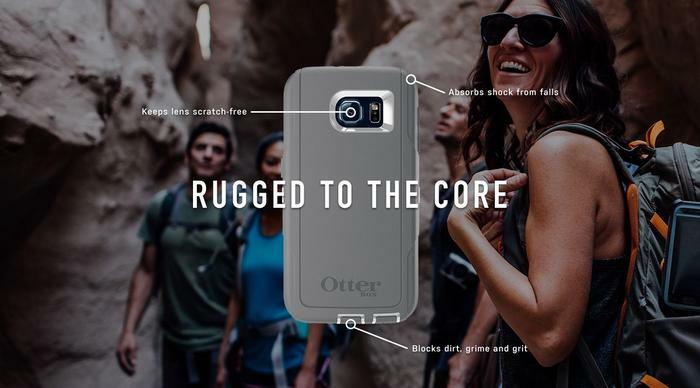 Otterbox say it carries their own Certified Drop+ Protection seal of approval. While the certification doesn’t actually translate to any specific in terms of meters or whatnot, Otterbox say this means it has survived 24 or more tests and 238 hours of rigorous testing. Unlike some of Otterbox’s other cases, the Commuter won’t protect against water damage beyond the iPhone 8 and X’s existing IP67 rating. Generally speaking the Otterbox commuter is a pretty comfortable case to hold. However, it does infringe upon the flush form-factor of the iPhone 8 to a pretty noticeable degree. For some, this drawback might not sting as much but, basically, the trade-off for the added protection here is that you lose out on a lot of the gains that the device’s slim design brings to the table. It comes in Black, Indigo and a pinkish Ballet. 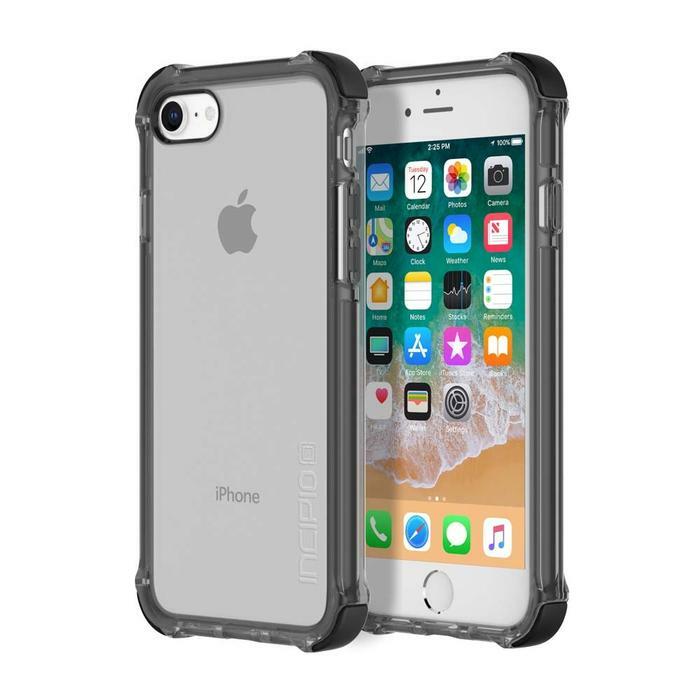 In Australia, the Otterbox’s Commuter cases retail for AUD $49.95 for iPhone 8, AUD $64.95 for iPhone 8 Plus and AUD $49.95 for iPhone X.
Otterbox offer a 1 year warranty against defects in material or workmanship. The Evo Check boasts a three-layer protection system where the outer layer works to cushion the impact of a drop, the case’s skeleton frame then spreads out the kinetic energy before the inner FlexShock layer absorbs it. All up, Tech21 say it provides up to three metres of drop protection and that they’ve drop tested our Evo Check cases 20 times in a bespoke impact testing machine to ensure it meets that standard. Generally speaking,the Evo Check feels pretty nice to hold. It definitely feels like plastic - but not necessarily the cheap kind. However, the three-layers of drop protection here definitely came with an aesthetic cost. When worn, you’ll lose out on the iPhone 8’s gorgeous curved edges and slick all-glass back. It definitely still looks like an iPhone, but not really the kind you’re able or want to show off. In addition, the buttons on both sides of the case also feel a little too resilient for comfort. You’ll have to consciously push down on them harder in order to hit the volume, power and mute toggles. The Evo Check case is available in Clear White and Smokey Black. In Australia, Tech21’s Evo Check case retail for AUD $39.95. Tech21 offer a lifetime guarantee against defects for their Evo Check cases, as long as you’re purchasing from an authorised retailer. 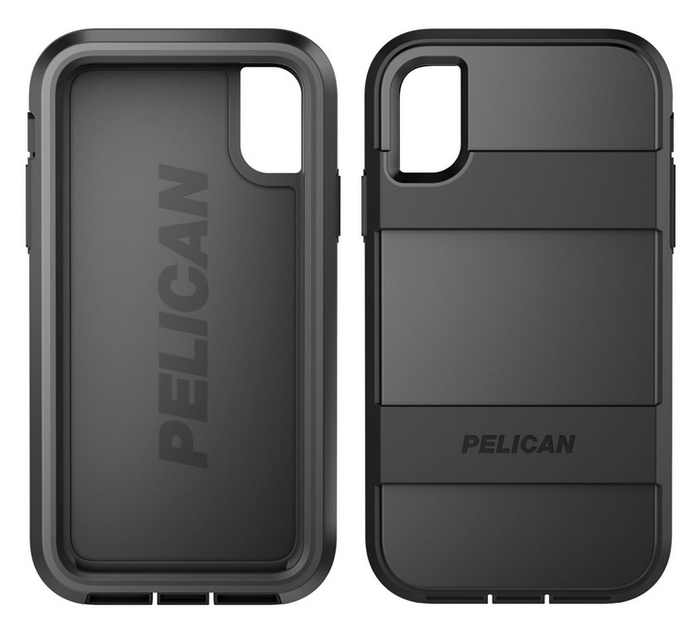 The Pelican Adventurer case offers up a two-layer protective design where the kinetic energy from drops is partially-deflected by a tougher outer layer, then absorbed by a softer inner layer. Pelican say it’s been tested to Military Specifications MIL-STD 810G for 1.2 meters of drop protection. As we said in our Note 8 case comparison, the Pelican Adventurer feels like it strikes a really compelling balance between protecting your phone and leaving their natural aesthetics to sell themselves. The thin-yet-sturdy bezel looks and feels like it provides a believable degree and protection and the moulds for the buttons to a great job of preserving their natural clicky responsiveness. The only real issue we ran into was the mute toggle, which was sometimes a little bit tricky to reach within the case’s protective enclosure. The Pelican Adventurer is only available in black, though the back layer is entirely transparent. In Australia, Australia’s Pelican Adventurer case retail for AUD $39.95. Yes. Pelican have thrown in their usual “You break it, we replace it” lifetime warranty for the case. The Pelican Voyager case protects against impact, shock, dust and sharp-edged attacks to your iPhone through four layers of protection. Rigid polycarbonate, energy-absorbing thermoplastic elastomers and polyurethane rubber disperse impact energy. Meanwhile, a scratch resistant coated screen protector works to protect the front of your phone. Like the Adventurer, the Voyager has been tested to Military Specifications MIL-STD 810G for 1.2 meters of drop protection. As we’ve said before, the Pelican Voyager is pretty much the brand’s most heavy-duty case on offer when it comes to the iPhone 8. It both looks and feels that part. You’ll literally need a solid point of leverage to snap the case open if you want to take your phone out of it and every corner of the package feels like it could take a hit. While it’s not going to be the right case for everyone, - and it definitely won’t be the right case for those who see their phone as as much a fashion accessory as communication device - it’s probably one of the most compelling options out there if you’re looking for raw durability. The Voyager is only available in a blackish grey color. In Australia, Australia’s Pelican Adventurer case retail for AUD $59.95. Some. However, not a whole lot compared to some of the other brands out there. 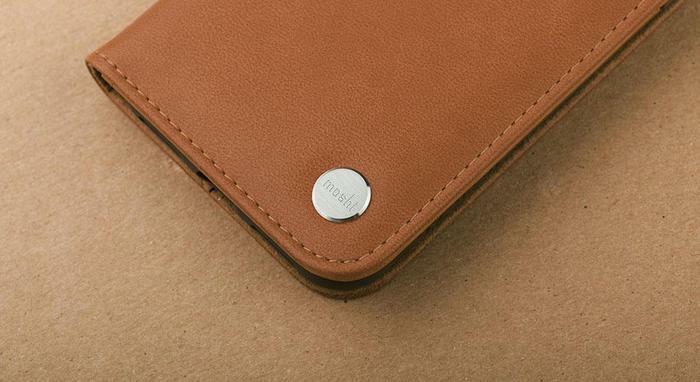 The slim lined Jelly+ case is made of a rubberized and soft “impact resistant” material. 3SIXT don’t quantify this into any sort of expected resistance but they do say that the mirrored edges will protect against everyday damage. 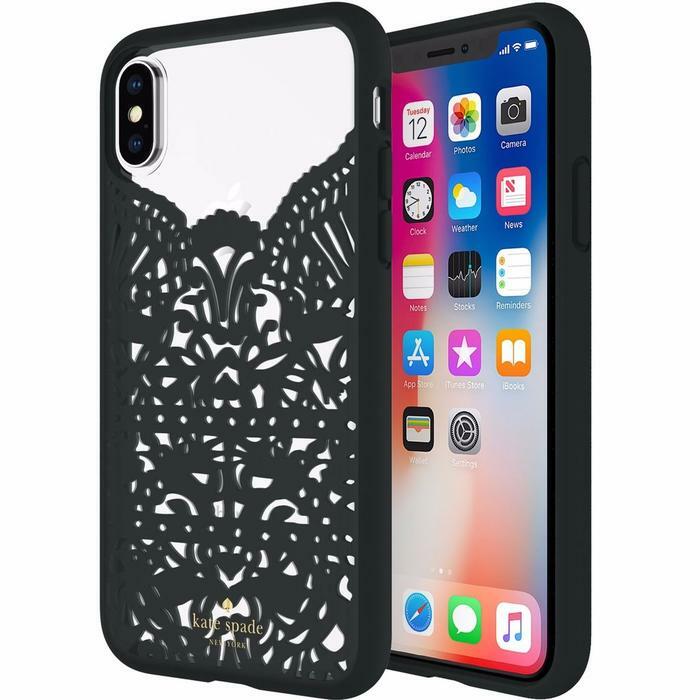 There’s an interesting texturing on the back-side of the case that suggests it might drops from that side a little better than your iPhone would without. However, beyond that, this really does just feel like another plastic sleeve case. The mirrored edges are interesting touch but your mileage is going to vary based on both your iPhone’s existing color palette and your attachment to it. The moulds for the buttons here are also a little lacklustre and half-hearted. They don’t really fit the shape of the buttons on the iPhone as broadly approximate them and they’re resilient enough that it detracts from their natural responsiveness. The 3SIXT Jelly Case + is available in Deep Silver. The RRP for the 3SIXT Jelly Case + is $24.95. All 3SIXT cases have a 2 year warranty. A 2-in-1 case, the Neo Clutch combines a softer-but-resilient leather outer layer with a more solid plastic shell. These two components are magnetized together, which means you can use them separately. Unfortunately, 3SIXT haven’t really given any solid metric of exactly how much ‘everyday’ protection constitutes here. As far as we can tell, you’re getting the amount of protection a normal wallet or clutch would offer, plus maybe a little bit more via the frame. 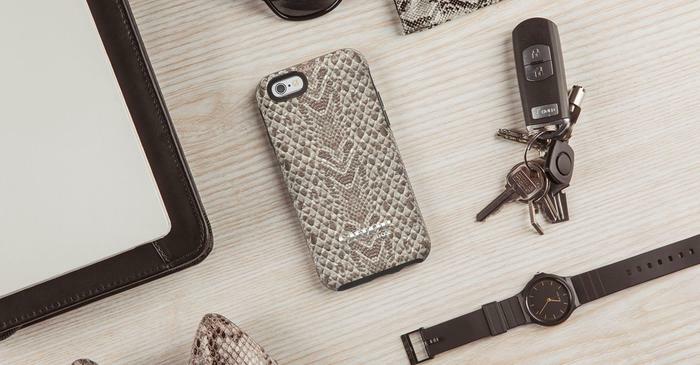 Regardless, while your mileage (and style) might vary the Neo Clutch does look and feel like a nifty match for the fashion-friendly iPhone 8. It definitely adds to the overall bulkiness of the device by padding things out a little bit - but when you consider that you’ll be carrying this instead of a wallet, the mental trade-off is a little easier to make. The genuine leather here gives the case a really nice feel and - to further sweeten the deal - it boasts easy compatibility for mounting in your car magnetically via the 3SIXT NeoMount or NeoVent. The 3SIXT Neo Clutch is available in a single Pink / Black model. The RRP for the 3SIXT Neo Clutch is $44.95. While the thickness of the bezels and back cover of the GLOW selfie case do look like they add a bit of added protection via their sheer size, they don’t really seem to be made of anything designed to take much of a hit - even if it is a very tight fit. That said, that’s not really the sell for this case. The pitch here comes in two bullet points. The first: that it’s a fashion-case that comes from someone whose name holds weight in in that space. Rebecca Minkoff is an international name in the fashion world, and her talents manifest nicely here in the appealing geometric patterns across the GLOW Selfie Case’s back layer. Unfortunately, the appeal here is curtailed by the material involved - which quickly proved to be a massive fingerprint magnet. Secondly, the Selfie lights. Pressing a button on the back of the case triggers an array of front-facing lights built-into the case designed to enhance selfies. This is a good idea. Unfortunately, in practice, the LEDs weren’t really bright enough to have much of an effect. Your mileage may vary but this felt more like a novelty than a genuine need-to-have. 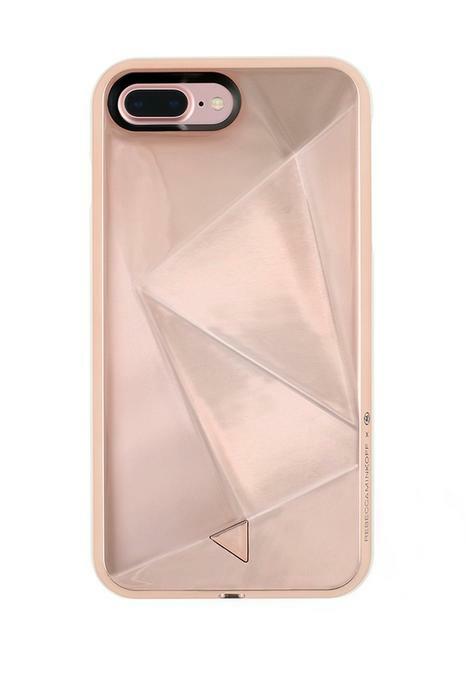 The Rebecca Minkoff GLOW Selfie Case retails for approximately AUD $81.80. The Bodyguardz Ace Pro iPhone case promises to harness the potential of a Bodyguardz’ proprietary “Unequal” shock-resistant material. According to the company, this material helps disperse energy on impact across the case as a whole, providing military-grade protection for drop of up to 3 meters. In practice, this is one of the more-sturdy single-layer plastic cases we’ve spent any time with. In fact, it’s so sturdy that pushing buttons proved itself kind-of difficult. Still, it offers up a mostly transparent solution so it does a reasonable job of accentuating and enhancing the natural aesthetics of the iPhone 8’s design. Again, it’s rare to find a plastic transparent case that feels this solid - even if that doesn’t always work in your favor. Smoke/Black, Clear/Grey, Pink/White and Blue/White. In Australia, the Bodyguardz Ace Pro retails for approximately AUD $49.95. The Bodyguardz Ace Pro comes with free lifetime case replacements if you register with Bodyguardz 'Advantage Program'. Leveraging the same shock resistant “Unequal” protective material found in their other cases, the Trainer Pro ups the ante by adding in two more layers of defence - including a durable elastomer and solid-but-transparent back layer. At first glance, this is probably one of the nicer and more-ergonomic cases we’ve encountered. The grooves along the edges of the phone give it a nice, tactile feel and the slightly-glazed back layer manages to feels immediately tactile to the touch. Bodyguardz have also thrown in a wrist arm-band with the case, adding further value to the package and making it workout ready. Otterbox’s Symmetry Series of cases use a slimmed-down dual-layered design to cover your phone with on-the-go protection without compromising on aesthetics. The Symmetry series boasts a range of striking color combinations that make it reasonably appealing to the eye. In your hand, however, it does feel a little plastic-y. The moulds around the buttons aren’t particularly exceptional either. Expect a bit more resilience whenever you go the change the volume or turn off the display. There are a huge range of available colors in Otterbox’s Symmetry range, including Black, Rosso Corsa (Maroon), Besoke Way (Blue), Island Sherbert (Blue / Orange), Saltwater Taffy (Pink, Purple), Candy Shop (Neon blue / Pink), Fine Port (Maroon / Grey), Mix Berry Jam (Purple / Violet) and Muted Waters. 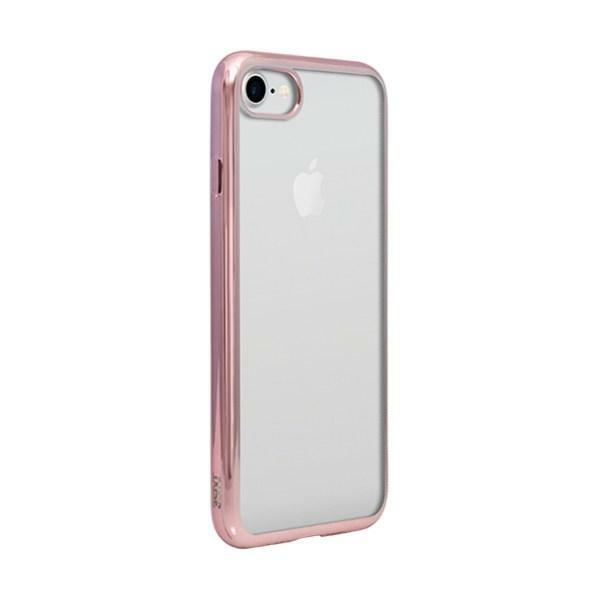 Prices for the Otterbox Symmetry Slim iPhone 8 cases start at $39.95. 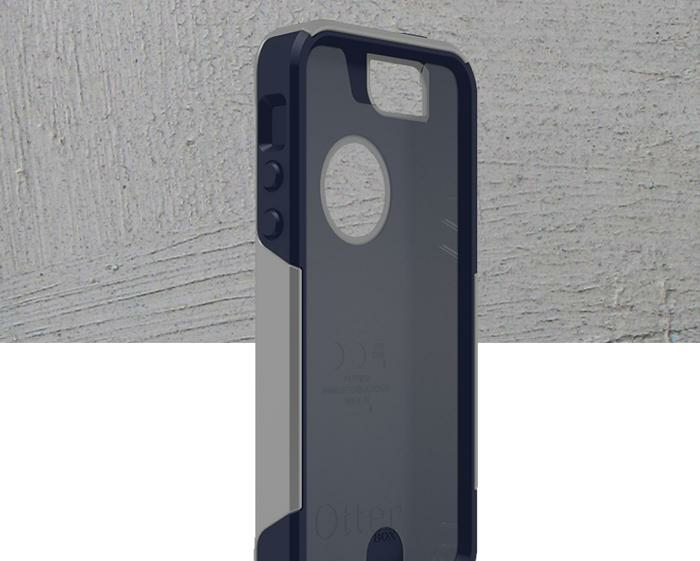 While it’s only built as one single, seamless layer around your iPhone, the Incipio Reprieve [Sport] doesn’t skimp on durability. It comes coated against scratch-damage and incorporates a protective interior structure to provide military grade protection. This is then nicely reinforced by the padded out corners of the case. Incipio say it's guaranteed to provide comprehensive drop protection of up to approximately 3.6 meters. Given that this is, on the surface, just another transparent plastic shell for you to shove your phone inside, it’s remarkable how nice the Incipio Reprieve is to hold. Your mileage with the reinforced corners might vary, however, I found them to be a really appealing touch that elevated the form factor of the case as a whole. Every part of this thing feels solid and while it doesn’t look like it provides that much defence for the front-of your display, you definitely feel like you’re getting your money’s worth here when it comes to everything else. 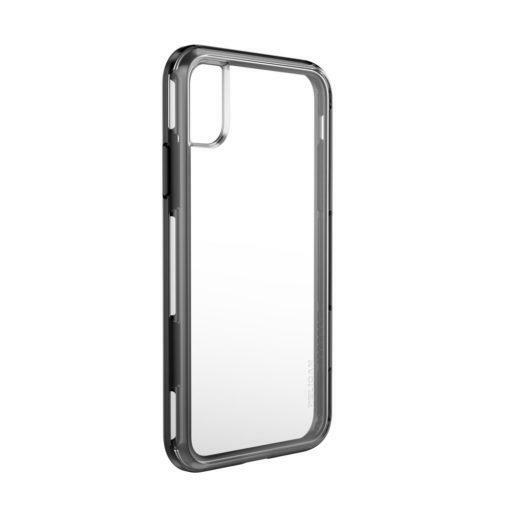 Incipio offer a one-year warranty for this case. The Vitros case is made of durable polymer that helps resistance against scratches, heat and bending. It also boasts a slightly raised bezel designed to help protect the front of your device. Moshi say it delivers military grade drop-protection but don’t provide any specifics. The Vitros is minimalist enough that it doesn't really provide much to complain about. However, there’s little distinctive to latch onto here as well. It’s a good fit, buttons don’t lose any noticeable amount of clickability, it molds nicely to the iPhone 8’s form-factor. It’s a case for the everyday. The Moshi Vitros comes with a limited lifetime warranty, upon product registration. This one is just a pretty standard hard plastic shell case with some added flair. There’s no magic protective material or anything. However, like the Rebecca Minkoff case, that’s not really the focus. The focus here is on aesthetics and if the lacey design spicing what is otherwise a fairly standard hard-shell case is something that catches your eye, this one might be worth a look. It’s a fairly tight fit for the iPhone 8 here. Buttons remain clickable and the ports remain accessible. However, if you’re in it for protection, these perks might not be worth the trade-off in durability. The Otterbox Defender is pretty much their take on Pelican’s Voyager. It’s a three-layer, all encompassing protection solution that ruggedized every angle on your iPhone. However, that’s remarkable about is how effectively it manages to keep things relatively slim despite that all-compassing durability. Sure, it’ll make your iPhone 8 as Bulky as Note 8 - but there are plenty of high-durability cases out there that do a lot worse. The color options are quite good as well and it does come with a holster. Be warned though, the moulds for the buttons on the Defender are a bit too rigid for comfort. You’ll have to press down on them with a noticable amount more force to do basic things like change the volume. 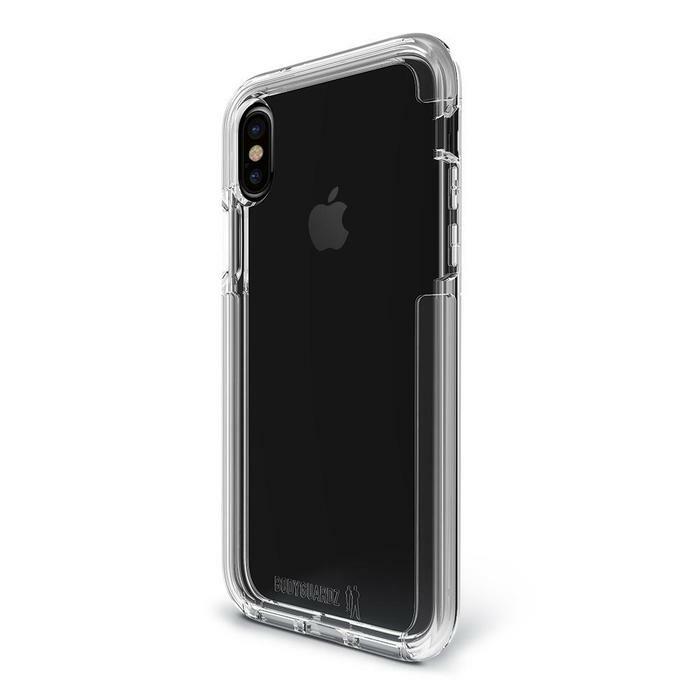 The Defender Series costs $49.95 for the iPhone 8 and $59.95 for the iPhone 8 Plus. The feel on this one is a bit all over the place. The leather doesn’t feel particularly premium and the hard-shell inside feels like more of a rubber bumper than a protective seal. There’s a little bit of a value-add in the single card slot inside the folio. However, the fact that is only a single card slot means you’ll probably still need to carry a separate wallet around with you in addition to a now-bulkier iPhone. The moulds for the buttons are also a bit mediocre. Onyx (Black), Burnt Saddle (Brown), Pacific Opal (Green), Espresso (Brown), Soft Opal (White). The Otterbox Strada Folio series of cases are priced at $49.95. 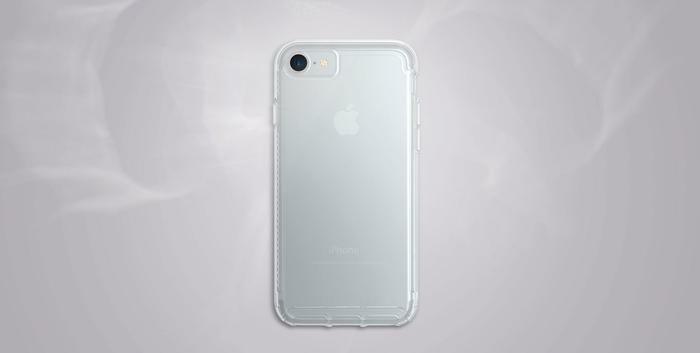 Tech21’s Pure Clear case promises to combine a hard outer shell (that deflects force away from your phone) with a impact absorbing bulletshield material underneath it. Tech21 say it provides up to two metres of drop protection and that they’ve drop tested our Evo Check cases 20 times in a bespoke impact testing machine to ensure it meets that standard. Basically, it feels like a more lightweight version of their Evo Check case. The plastic feels more solid and you can see the ridges lining the interior of the case from the outside. Buttons remain clickable the mute-toggle is blessedly accessible. In Australia, Tech21’s Evo Check case retail for AUD $49.95. The Moshi iGlaze is hybrid construction case that tries to blend together as a fusion of design, functionality, and drop protection. It’s super-minimalist and features a shock-absorbing inner bonded to a shatter-proof hard shell frame. Moshi say it Offers MIL-STD-810G, SGS-certified) military-grade drop-protection and specialized surface coating to prevent color-fading over time. As long as you don’t mind the shell-like design itself, the Moshi iGlaze is far less obnoxious of a case that it sounds. It fits nicely into your pocket and features raised bezels that help protect the front of your phone. As with many similar cases, the button moulds are a little resilient, however. 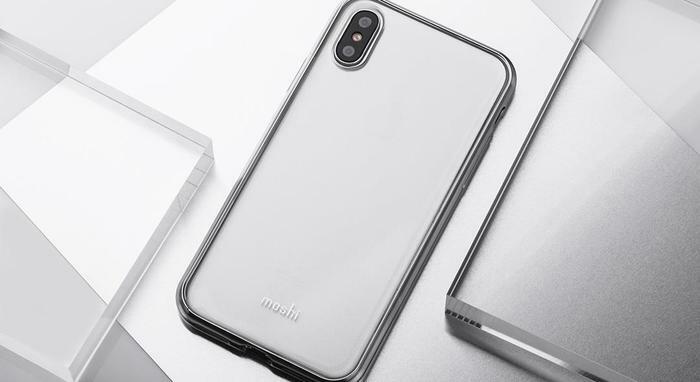 It’s maybe not the nicest phone case around however balancing protection and style is often tricky and Moshi have acquitted themselves admirably here. Pink, Black, Yellow, Blue White. The Moshi iGlaze comes with a limited lifetime warranty, upon product registration. The Moshi Overture features a shatterproof hardshell frame that provides military-grade drop protection on the inside and a weatherproof vegan leather exterior on the outside. Moshi say the Overture offers military-grade MIL-STD-810G drop-protection. The Moshi Overture feels and looks nice enough. However, compared to the other folio and wallet-styled cases available, it doesn’t really do a whole lot to justify its higher price-tag. The button moulds are too resilient and the whole thing feels a little too flimsy to inspire confidence in its protective abilities. Still, for what it’s worth, it does offer up three card slots, plus a full length-inner pocket and comes bundled with a detachable and washable microfibre cleaning pad. The Moshi Overture comes with a limited lifetime warranty, upon product registration. The Cyngett Orbit shoots for the moon when it comes to comprehensive-but-lightweight smartphone defence. It comes precision engineered design, impact-absorbing materials, “Versaflex” (VDT) corner bumpers and a scratch resistant back cover to keep your device safe. It’s a single-layered design, however, there’s a lot to like here. All told, Cygnett say it offers military-grade drop protection up to 2.4 meters. From the moment you get it into your hands, it’s clear that the Cygnett Orbit is not one of those bendy plastic cases you’d find at a mall pop-up store. It’s got integrity. The back cover in particular feels really strong. However, the added durability here definitely does detract from the form-factor of the iPhone 8 itself. It’s a lightweight case. But it’s definitely not a slim one. The buttons are also a little too resilient to the point of pain. All Cygnett products carry a two year warrant. The Cygnett UrbanShield ditches the rounded plastic of the Orbi and swaps in a sleek looking carbon fibre frame. The UrbanShield’s carbon-firbe inlay and semi-flexible TPU sides work to absorb energy from drops. There’s also a 360-degree bezel edge for added shock absorption. However, Cygnett haven’t specified anything in particular with regards to measuring that extra protection. Cygnett’s Urbanshield feels really nice to hold. If you’re not a fan of the transparent or black cases that emphasize protection over style, you might be able to get away with this one. It’s got a great premium look and accentuates the compact-form factor of the naked iPhone 8 while adding much needed durability to the equation. The Cygnett CitiWallet combines premium leather with a softened microfiber lining and TPU shell for added shock absorption and protection. While the above do provide some cushioning, there’s no scientifically-proven shock or graded drop resistance to be found here. The CitiWallet feels, unsurprisingly, like a reasonably nice wallet. 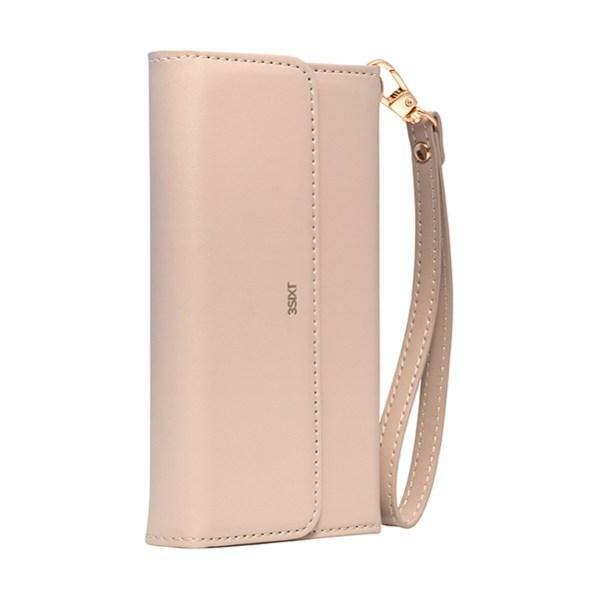 The softened leather gives it a good texture in your hand, the 3 card slots add extra versatility and the ability to fold the case up and use it as a kickstand is an added perk. Unfortunately, it’s dragged down a little bit by poor moulding on the buttons.